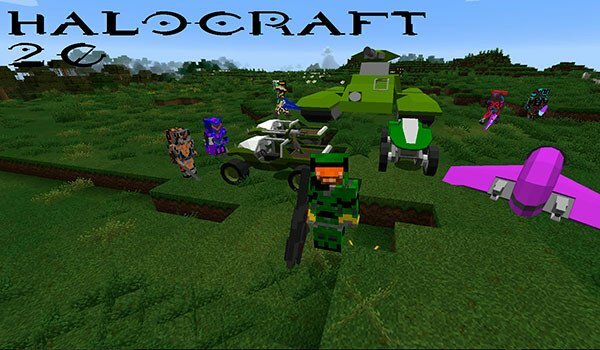 The universe of Halo, now in your game Minecraft. HaloCraft 2.0 Mod 1.10.2 is a mod that takes care of adding a lot of content that anyone who has played Halo certainly remember. The mod adds 5 new Halo mobs, the Golden Elite, Red Elite, Blue Elite, Promethean and Grunt. It also adds 5 new generation mineral worlds, allowing us to develop a good amount of weapons, armor, items, blocks and vehicles. Thanks to new mineral resources, we can create a total of 15 new weapons, including rifles, pistols and grenades. We may also create 4 sets of armor and cloaking an object, along with vehicles like Warthog, Mongoose, Troophog, Scorpion and Ghost. How to install HaloCraft 2.0 Mod for Minecraft 1.10.2? Add a touch Halo, your Minecraft worlds!